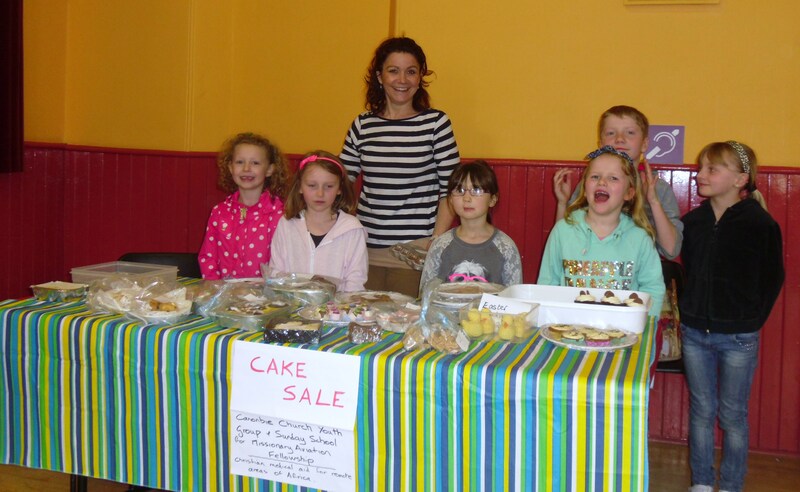 Here are some of the Sunday School children with Mary selling the cakes at the last Soup Kitchen of the season. The Youth Group and Sunday School children spent yesterday evening baking, (see Bake Off!) and this morning the baking was available before the start of the Rotary Umbrella walk, and afterwards in the Village Hall. The children did a fantastic job and the cakes were amazing. The fantastic amount of £112.10 was raised which will go to Mission Aviation Fellowship.